The Chinese Elm has found a far too happy place in Australian landscapes as it’s become highly invasive. It spreads its seed easily in the wind and is self-pollinating. It is listed as an invasive species both by Brisbane City Council and the Qld Government along with other local government authorities. It is typically found in backyards that have suffered from a lack of maintenance or hiding behind garden sheds and carports. It’s rare to see one on its own, they tend to spread out over suburban blocks. This tree grows to a canopy diameter of 25m and 20m high. It can easily have a girth of over one metre at breast height. Generally, Chinese elms in backyards don’t reach these dimensions as property owners have to get them removed as juveniles. When they do reach maturity they spread their seed over entire suburban blocks. The Chinese Elm has a variable growth form, often forming codominant leaders with inclusions of bark between them. While is a weakness, Chinese elms aren’t known for branch failures. Chunks of grey bark slough off to reveal patches of light tan and red. The texture is irregular and unique. The trunk as a whole is thin and narrow and naked of branches. Sometimes some early pruning can encourage a single long trunk, but as a weed they don’t usually receive that level of cultivation. In Autumn, this tree produces pretty inconspicuous white flowers that have both male and female parts, making this tree self-pollinating. Pollen does get carried by wind from tree to tree cross-pollinating also. The medium green leaves of the Chinese Elm are thick and leathery and small, no more than 5 cm long and 3cm broad. This tree is one of the last deciduous trees to lose its foliage in Brisbane. In some areas, it’s even been reported to be evergreen although this is uncommon. 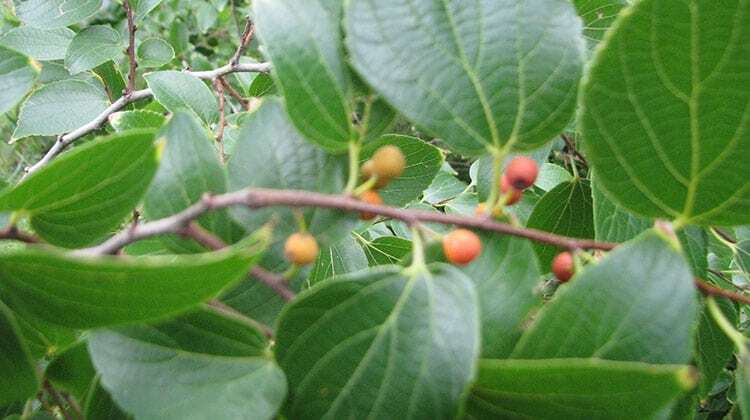 One of the things that make this tree so invasive is in its fruits. The seeds are called samaras, which are basically seeds with wings attached. The wind carries the ripe seeds with these wings, sometimes for miles. The seeds usually fall off of the tree and take off in large groups, so picking them up or stopping the seed from spreading is impossible. Easily started from seed without any special treatment. This tree is a tough one. It can withstand many conditions, which has made one of the most invasive trees around Brisbane. It’s been used along ocean coastlines, is happy in pots, and is happy almost anywhere in almost any weather. It does need good sun exposure to do its best, in well-draining soil. But feeding this sturdy tree or any special care is almost completely unnecessary. Controlling this tree by removing seedlings when they sprout out of place (pull or run them over with a mower), or using a systemic plant killer if you’re so inclined work well. We always recommend tree removal of this species in Brisbane. We are attempting to find out how fast a Celtis Sinensis tree can grow. in the Brisbane area. We have seen one arborist claim that such trees can grow 5m in 2 years. Is this your experience? What would you say was the range of growth rates for such trees? was exposed to the western sun. I’m the chairperson and owner of a unit in a complex in Sherwood, Brisbane. We have a 15m high chinese elm tree in the backyard which is some 7-8 from the rear of the building. I was wondering how invasive the root system is and whether i need to remove it? Hi Derek. Chinese elm roots are invasive and at that distance, they certainly have the potential to cause damage. The main problem is subsidence during dry periods such as we are having now, as roots shrink back. I live in the scenic rim shire on a 3rd generational farm with numerous Sth East Asian Celitis sinensis spread across the property now. I am slowly replacing them with natives as I poison/chop/dig them out. The problem I have and this partly thanks to SEQ water and their freshly graduated hydrologist, I have steep to steepish creek bank now getting close to machinary sheds and is being held almost cometley by 2000 or so small Asian Celtis Elm. They range from 1 inch to 20 meters in height. I have had tree specialist and “the experts” out to give advice but nothing that satisfied my 48 years of observation of land erosion from over grazing through to just idiotic acts of soil mismanagement. Once again from years of observation I have noticed that not much else grows under them. Especially when they start getting from 3m to 30m apart from sparsely types of europen grasses. Its a very similar problem where I have a property I reside in part-time in Northern NSW with Champhor Laurels that are enmasse. Any suggestions would be greatly apprectted as I wanting that to become as stable as possible whilst making the Asian Elm from that area totally absent. The answer to your dilemma might be to poison the stumps. 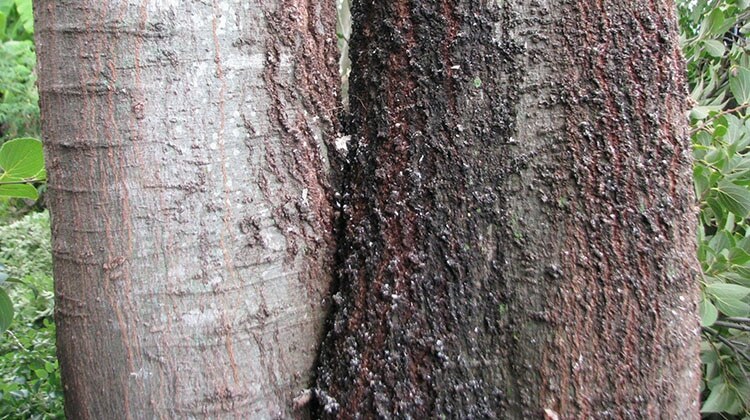 Some trees exude chemicals toxic to other species in a process known as allelopathy. That’s why, as you have observed, nothing grows underneath them. If you kill the stumps the natives should get a toe-hold. Good on you for removing the Chinese elms, they’re a blight on the environment. Hi Jenny. The roots will extend far beyond the canopy. They are robust and are likely to cause damage if your house is within twice the distance of the canopy to the trunk if you have re-active clay soil. The council are dummies if they plant this pest nuisance tree. There are so many choices, why chose a non native like this. Ruins roofs, lifts concrete, birds dont nest in them. Hi Claire. Fortunately, no councils I know of are now planting Chinese elms. I’ve updated the article to reflect that. Thanks for commenting. I have another question regarding a tree that sits just outside our front fence and was planted before we bought t his house in 1990. Having done some research, I’m hoping it’s an ulmus parvifloia and not a celtis sinensis. I’ve read your comment above to someone else. I’ve always kept this tree at a good height and it’s not an overly rapid growing tree. I get it lopped every couple of years just to keep it at house level. In the last month it has been dropping loads and loads of leaves and now new leaves are appearing and branches of lots of berries. It hasn’t had many berries for a few years or dropped leaves like this before. It doesn’t appear to have invasive roots that are visible and I’ve never found any shoots appearing from the berries. The bark is an attractive smooth mottled tan and reddish shades. There are some inoffensive prickles on some branches. I have trained it, in the past, to have a weeping appearance and is a good shade tree for the front courtyard area. Raking up the leaves and this year, the berries when they fall, can be a pain, but overall it’s not a troublesome tree. The leaves fit the classic description of a Chinese elm. I could send you a picture if I knew where to send it. Not sure I can attach anything to this comment. As i said, after reading your comment, I’m hoping it’s from the ulmus parvifloria family. I won’t be getting rid of it what ever it is. PS the tuckeroo is doing really well and has grown quite a bit already. Hi Lynn. Please send me a photo of the bark and another of the leaves to me at 0488 827 267. I’ll let you know the species. Thanks, David. I have been reading about the Chinese elm and I am worried as council are planting them in my street they are planting Ulmus pavifolias am going to have the same issues with the roots and the tree damaging driveways etc like the Celtis sinensis? Hi Lauren. No, Ulmus parvifolia is inoffensive. They share the same common name, unfortunately. Thanks, David. If it’s so invasive why wn’t the BCC get rid of them from their parks????? Hi Thelma. Hopefully, they will. The only reason they haven’t removed all their Celtis sinensis, Chinese elms is because of budget constraints. I’ve had the privilege of studying arboriculture with several council arborists and I know they’d love to improve the environment by removing them if they could. I was reading your comment on the Chinese Elm. I have them towering above my 1889 home with a canopy reaching half way across my roof causing a lot of expensive damage with the constant leaf and seed debris from an avenue of trees grown 2 ft away along my home wall, The debris is blocking my skylight vents in the roof..
Additionally, the root system is causing major cracking in my walls after plastering and painting my home. This occurs only on the wall adjacent to the trees. Is this why the trees are not recommended in a confined area? Please can you let me know your own experience as an Arborist.in a few words. I would be more than grateful to you for same and it would be a huge act of kindness and more than happy to phone you if you need to discuss anything. Hi Shirley. 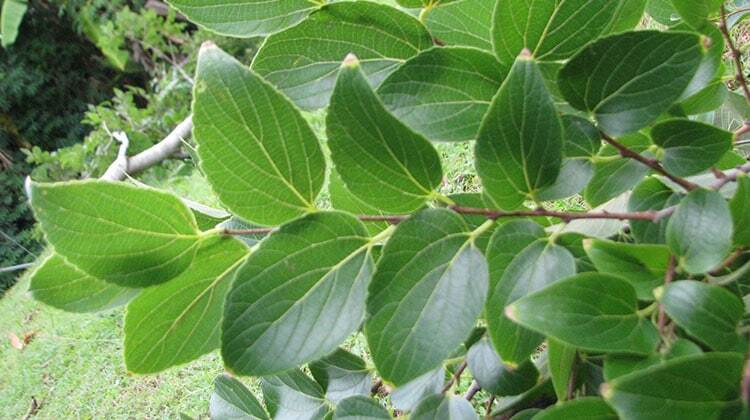 Yes, they are deciduous and the leaves can be an issue, and the roots are very invasive. They are also environmental weeds, grow far too large for a small area and propagate like the weeds they are. I can only recommend removal as it will cause more problems and cause further expense as time goes by. I’m always happy to take phone calls to discuss individual trees. I was considering this beautiful tree for a 300m laneway but after reading your blog I’m not so keen anymore. Could you recommend a native equivalent? Hi Jacky. There are some Acacias with similiar leaves and beautiful trunks, and you will get beautiful wattles that bring native birds as well.